Great sailor Pavlos Kontides CYP made it again and added a new Gold medal to his wonderful career. 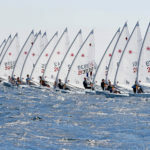 Reigning World and European champion ratified his great performance yesterday in Denmark, winning the Laser Men’s World championship for second time in a row. Cyprus’s Olympic hero (Silver in London 2012) will always remember the Bay of Aarhus, winning this Senior’s Worlds a decade after his triumph in the Youth World Championships here. Victory had looked far from certain and Kontides, 28, looked in real trouble in the big winds at the top mark. 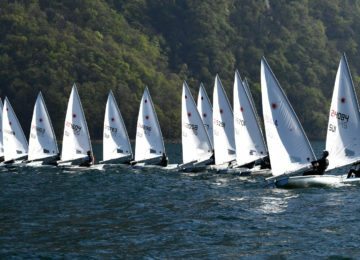 The fleet were doing their best to keep the boats flat and as he rounded in ninth he healed over, taking on water. Australian Matt Wearn AUS was sixth, 19 seconds ahead and looked like he might get away. 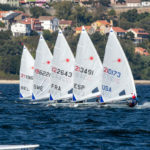 Wearn, 22, had trailed by just four points going into the medal race and just needed to put a boat between them. 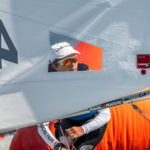 But the wind dropped down to 12 knots on the first downwind (from 25 at the start) and Kontides – who became the first-ever Olympic medalist for Cyprus (in any sport) with his silver at the London 2012 Olympics – kept chipping his way back. He was last at the bottom, but 13 seconds behind Wearn in eighth. 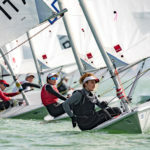 The wind increased and by the second upwind, the gap was just two seconds and they were into the match racing situation expected from the start. Wearn had Great Britain’s Michael Beckett GBR just meters in front, all the way to the line but could not get past him. “I feel amazing”, Kontides said. “It’s hard having to keep someone like Matt Wearn behind you. The quality of this fleet is so high and so deep that you always have to be at the top of your game”. 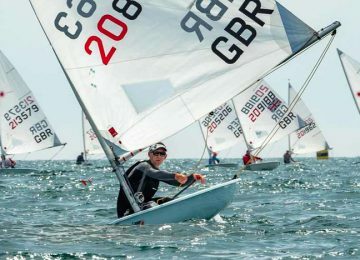 German sailor Philipp Buhl GER could finally shine on the Medal race yesterday and break into the podium, clearly winning his battle with British Elliott Hanson GBR. “BRONZE MEDAL at the 2018 worlds!!! 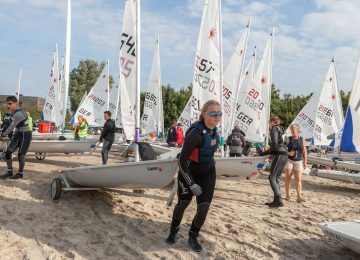 After a few ups and downs, disappointments, and two bigger mistakes this week I am extremly happy to get that podium spot in this incredible hard fought #laserclass. Congrats to the winners Pavlos Kontides and Matt Wearn! Loved to share my medal with Elliot Hanson today though”. 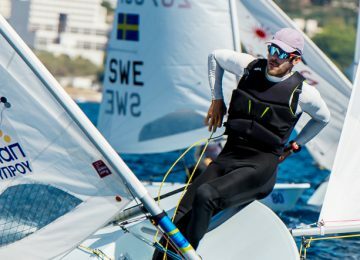 Hanson, 24, was last round the first top mark and was already watching Bronze slip away when he picked up penalty for rocking downwind. By the first bottom mark, he was 41 seconds behind Buhl. 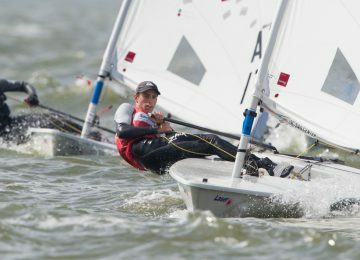 Although loosing the chance of medal and finishing fifth overall, Elliot was happy about the experience; “I really enjoyed my time here in Aarhus racing against some very talented men”. 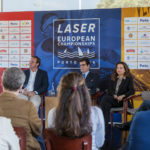 By Agustín Argüelles – EurILCA | Source: ILCA | Photo: Pedro Martínez – Sailing Energy – Aarhus 2018.